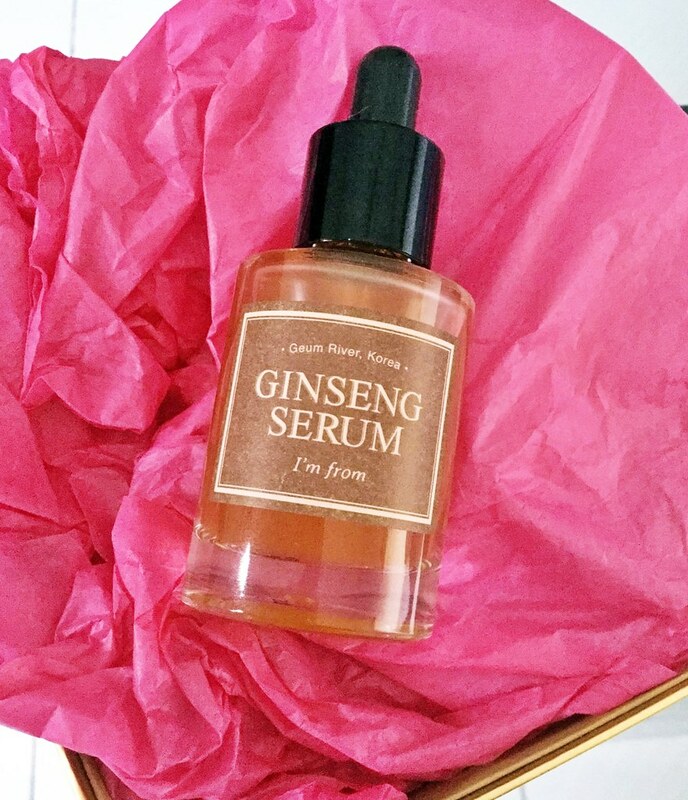 I’M FROM Ginseng Serum – The Key to Youthful Glowing Skin? 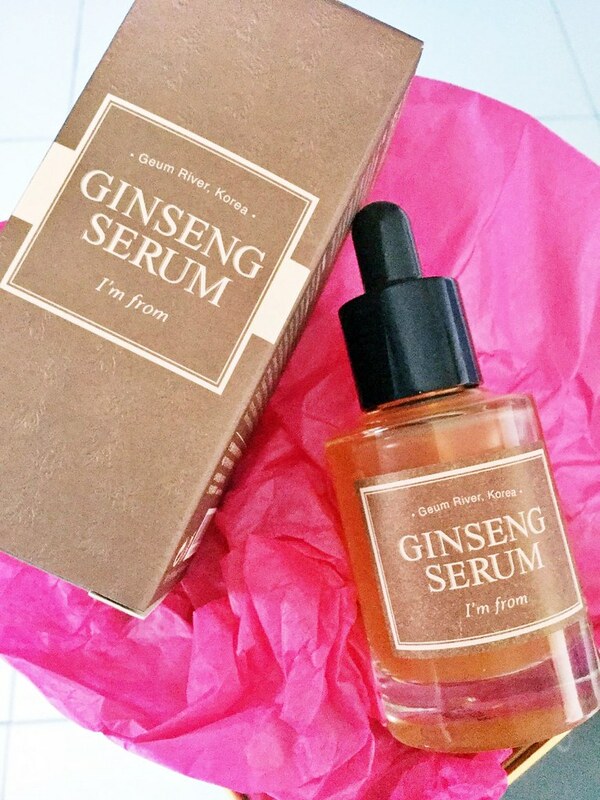 The I’M FROM Ginseng Serum was sent to me for review purposes by Wishtrend, and although this review has also been long overdue I can attest that the below review and my views on the product are completely my own. First off I’m going to talk a little bit about ginseng. Ginseng has recently become a skincare staple although it had been used by Chinese healers for centuries due to its anti-ageing properties as it has the ability to boost skin-firming collagen. Also having healing and calming properties, ginseng gives skin a brighter and more youthful look. On to the review! Concentrated ginseng extract found in the Ginseng Serum enhances blood circulation to make the complexion more fresh and lively. It then acts to replenish nutrients to the skin to smoothen and restore youth. Fall in love with nature with the Ginseng Serum today and let your skin thank you. Features 7.98% Ginseng Extract: Formulated with 7.98% concentrated ginseng extract, the Ginseng Serum is designed to naturally enhance blood circulation to make your complexion look more lively while replenishing the necessary nourishments for healthier, younger skin. Tired of losing elasticity in your skin? Give your skin the energy boost it needs with the Ginseng Serum. High-concentrate Nutrients: Ginseng extract penetrates deep into the skin to increase elasticity and make the complexion more luminous from the inside out. Increase Elasticity: The highly-concentrated Ginseng extract tightly adheres to the skin, working to add elasticity to flat, lifeless skin. Skin Purifying: The concentrated antioxidant properties of the Ginseng extract purifies skin that is fatigued from external stimuli and accumulated waste. * Those who want nourishment & enrichment. * Those who have fatigued, malnourished skin. * Those who want wrinkle repair & skin rejuvenation. The product overall does not have any acne triggers or skin irritants except for Butylene Glycol which may be Comedogenic. Butylene Glycol is used in many skincare products as it increases product penetration, is a solvent and thins the consistency of the product. Kinda pricey in my opinion but the results speak for themselves! 1) After cleansing, apply an adequate amount to the face, and spread out into a thin layer using the tips of your fingers. 2) After applying the serum, gently wrap the area with the palms of the hand and use the heat to help the skin absorb the nutrients. 3) Use daily at morning and night for best results. This serum comes with a dropper which actually picked up the product (I’m saying this cause I’ve often experienced some issues which droppers). I applied four generous drops of this serum all over my face, concentrating on my forehead, cheeks and chin after patting on my trusty toner. Then wait for the magic to happen. Not a fan of wrapping my hands on my face so I skipped that part and only used this in the AM. Off the bat this serum is so enjoyable to apply. 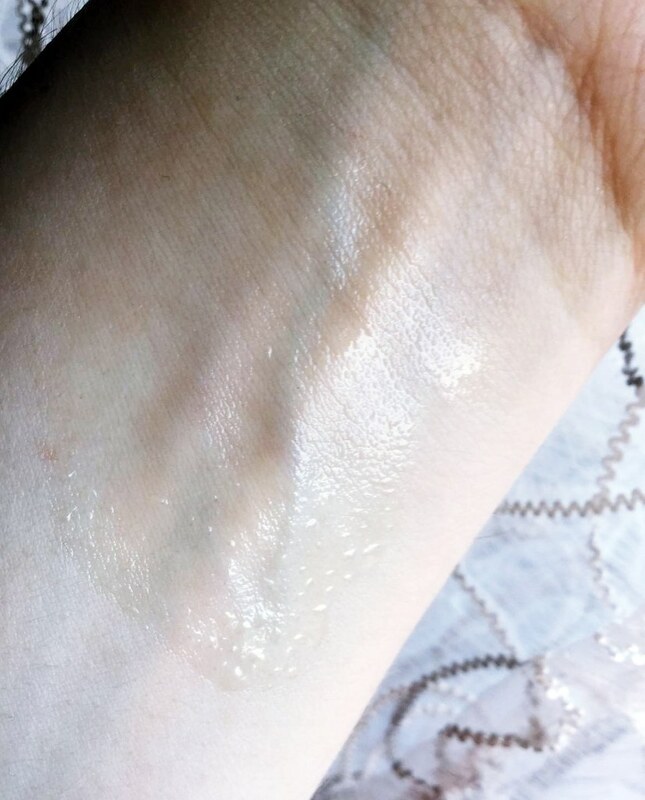 The consistency is like almost nothing I’ve ever used before, it’s halfway between watery and thick, and smells earthly and slightly of ginseng which quickly dissipates as the product is absorbed into the skin. I tend to lightly tap my skin with my fingers which I think helped the product sink into the skin, although when I neglected to do that the product was absorbed by the skin in no time. It does have a slight stickiness to it, but it quickly dissipated and did not jeopardize my application of moisturiser. Small drops of this serum go a long way, but I love the feel of it on my skin so much I used to apply a bit too much at times. I don’t have issues (for the moment) with wrinkles although I sometimes feel that my skin looks ‘tired’ and greyish. This product helped to give my skin some life and I felt it looked very fresh and ‘saturated’ like I’d had enough sleep at night or I’d drank a ton of water, or I’d applied some illuminating bb cream. The skin looked and felt taken care of and nourished. BONUS: I did not put this product in my refrigerator so you can imagine my surprise when the skin felt slightly cooler after putting this product on! Although this product is not meant to minimise redness, I am pleased to report that it did help with my redness a little bit and I did not experience any breakouts after using this product so it was a very welcome addition to my regime. I believe this serum added the right amount of nourishment to my skin without being too creamy and overwhelming and it did not leave me looking and feeling like a greasy mess.